Note: we wrote a guest blog for the American Bike League — in an effort to show how great cycling in Dublin is (becoming). We’re republishing that same blog here. Feel free to let us know if you think we gave the right impression. Photo’s by Rich Gilligan. 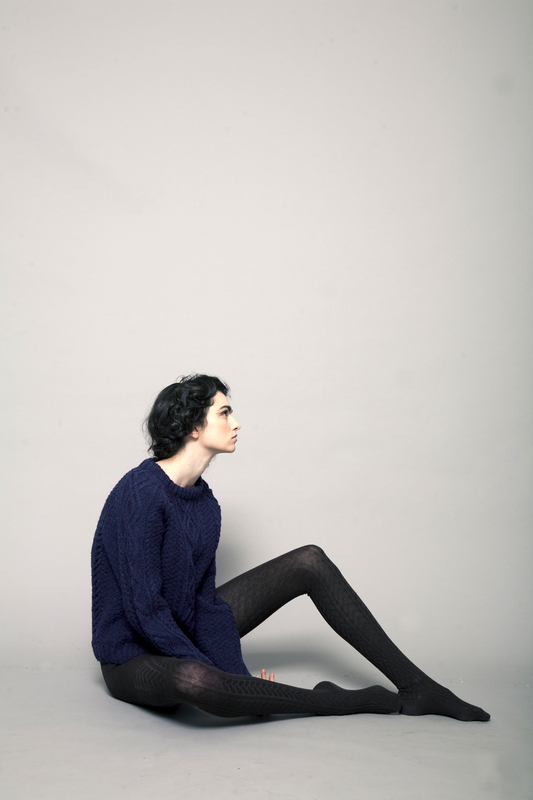 Petria Lenehan is a Dublin fashion designer schooled in New York, Florence and London. She owns Dublin fashion boutique Dolls. Dolls is a Disneyland for fashion lovers. Every item contributes to making it a magic kingdom for grownups: Panama hats, brown leather camera cases, and copper pharmacist scales line the walls. At the entrance stands a matte green Dutch bicycle. Petria primarily has that bike because it brings structure to her days. With a dual role as fashion designer and boutique owner, Petria’s life is hectic. Five years after opening Dolls, she still finds herself sketching dresses in business hours – meaning she will have to do bookkeeping later that night. But now, with help of her bike, a change has come about. Petria recently rented a studio, forcing herself to be business woman in her boutique and fashion designer in her studio. It does require Petria to frequently travel between studio and shop, though. For that, she heavily relies on her bike, which has become the beacon of structure in her working life. 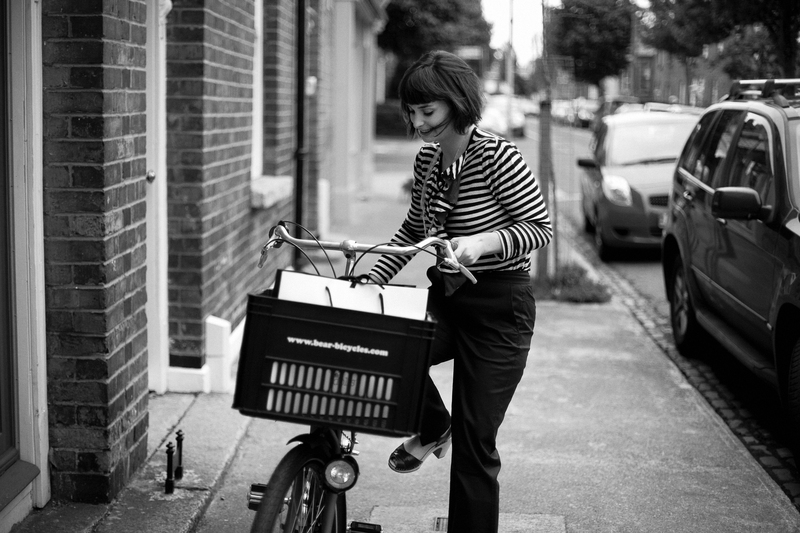 Every day at her boutique, she loads shirts and skirts in her bicycle basket and cycles to her new studio. And so Petria decided to display a bike alongside dresses, hats, scarves, frocks, jumpers, socks and clogs. She also decided to get a Dutch bicycle herself. As with her fashion designers – such as Peter Jensen, Cahterine André, and Renate Henschke – Petria personally knows the owner of the Dutch bike company, Joni Uhlenbeck. Next to Dolls, in the same building, is a café called Bibi’s. It is run by Petria’s sister: Maisha. The food at Bibi’s has won more awards than the King’s Speech won Academy Awards , and Dublin 8’s Dutch bicycle tribe now has an extra reason to go shopping at Dolls – many customers walk into Dolls with peanut butter brownie crumbs still on their lips. Petria – knowing the amount of calories going into her sister’s brownies – is happy her clientele comes by bike. 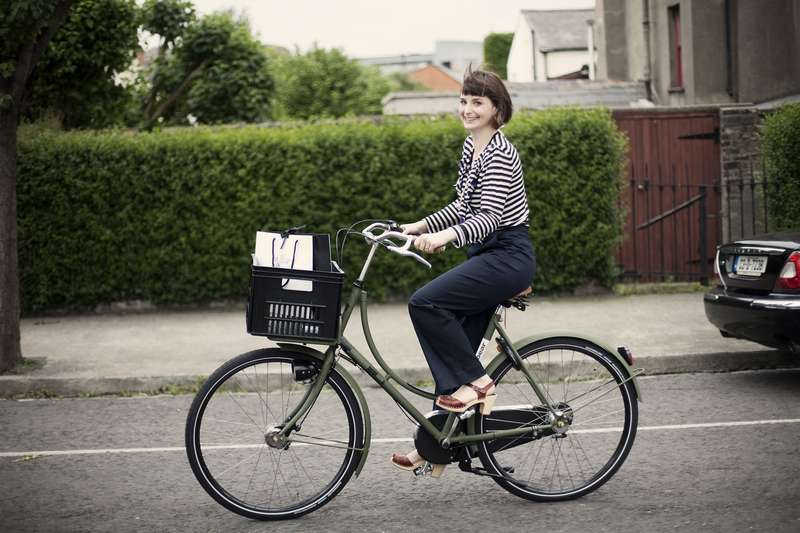 Seeing her customers cycle away assures Petria they had a guilt free shopping experience. And that they won’t come back to change clothes that all of a sudden no longer fit them.